This is refurbished with a 1 year warranty. With an Intel GMA dual core B800 processor and a combined memory of 750GB hard drive and 6GB RAM this Acer Aspire 5349 laptop is exactly what you'll need on the move. 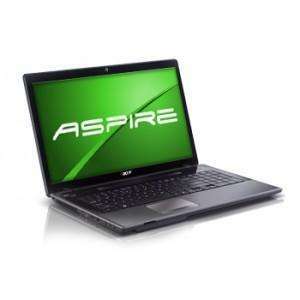 Its light weight and stylish exterior makes the Acer Aspire 5349 a fashionable travel companion. Also with a built-in webcam you can keep in contact anywhere and everywhere. Intel GMA dual core B800. Hi, I only use my computer to use the internet, store the odd photo and some tunes. I take it this is fast enough for that, dont understand all this processor speed stuff. I assume i dont need a more modern one for that? Hi, I only use my computer to use the internet, store the odd photo and … Hi, I only use my computer to use the internet, store the odd photo and some tunes. I take it this is fast enough for that, dont understand all this processor speed stuff. I assume i dont need a more modern one for that? This is more then capable of doing basic tasks! Good price for the specs, hot! I bought this for £349.99 new, great laptop, no issues, great price especially with 12 months warranty!! Don't worry about CPU speed so much, concern yourself with CPU architecture. This analogy may or may not help. A 2 litre modern day car can easily perform better than say a 4.5 litre V6 from the 1970s. Generally CPU speed has been a non entity for 8 or 9 years now. CPU speed and ram is how PCWorld would sell you a PC and I see it all the time, people saying they want 6GB or 8GB ram in their PC and I say why, how are you going to use it? Computers now are generally more powerful than the average user can utilise. Could they mean Intel Celeron B800 per chance, considering a Celeron is an Intel processor and GMA is Graphics? In answer to the question about the B800 vs SU2300, I'd say the B800. so the higher the ranking the better ...so the B800 almost twice as fast? Is this the best laptop I could get for this price? Is they any other decent spec laptop for this price or less? … http://www.notebookcheck.net/Mobile-Processors-Benchmarklist.2436+M5da4e672e23.0.html?&utm_campaign=Randlink&utm_medium=twitter&utm_source=Randlink_twitter (does not seem to like IE8)Wrong CPU. The processor is Intel Celeron B800 which is a Sandy Bridge processor. A question to anyone who owns one: how is the battery life on this thing? looks to be a good deal, can someone conf this laptop has HDMI? 6GB of RAM, the OS is not 64bit so whats the point? 6GB of RAM, is the OS is not 64bit so whats the point? Don't worry about CPU speed so much, concern yourself with CPU … Don't worry about CPU speed so much, concern yourself with CPU architecture. This analogy may or may not help. A 2 litre modern day car can easily perform better than say a 4.5 litre V6 from the 1970s. Generally CPU speed has been a non entity for 8 or 9 years now.CPU speed and ram is how PCWorld would sell you a PC and I see it all the time, people saying they want 6GB or 8GB ram in their PC and I say why, how are you going to use it? Computers now are generally more powerful than the average user can utilise. I want to know what the problem is with the machine when Argos have been selling 500+ of these 'refurb' models over the last month or so. I know Argos is a big company, but 500+ refurbs from one retailer????? If you want a budget buy I would stay away from this, as the processor/graphics and probably battery too will be poor, and the extra RAM won't make much difference, and HDD too unless you have a LOT of stuff. I would recommend buying something with normal levels of HDD and RAM, and going for something with a more modern processor and graphics, as this would make it more future proof too given that those things can't be upgraded. Historically Celerons are awful in laptops. The power usage is awful and kills battery's rendering them useless after little over 12 months. Whether the newer ones have changed i don't know as I have managed to change procurements mind at work so that we only buy 'i' laptops. I would say that a Dell outlet deal would be better with a pentium or i processor for not much more. Ignore the RAM as this is literally cheap as chips at the moment for DDR3. This thing will fly with 6GB of RAM and lots of people will appreciate the extra HD space for a laptop. Shame about the processor as I can't imagine battery life doing well but heat from me! It's still pretty low performance, but then it is a cheap laptop. I agree partially but not fully. It all depends what you use the PC for. I used to sell PCs and laptops. Always asked the customer first what they intended to use it for and the analogy I always used to non-IT literate customers was if you are buying a car to take your kids to school or go shoppoing etc., you would not need a Ferrari. Horses for courses. I have heard sellers in big computer stores tell their customer Office would not work with less than 4Gb ram installed!!! Neither of the ones highlighted by users, as being better than this, have a HDMI port like the Acer, so this deal is a scorchingggg deal. Description says 3 USB ports. Are these 3 USB3 (new and fast) ports or 3 USB2 (old and slower) ports?